Celebrate Holi with our colorful Mix playlists! To us, Holi is as much about music as it is about colors. Songs like Rang Barse, Balam Pichkari, and Holi Khele Raghuveera have become staples for every Holi party. When we hear these Holi classics play at any other time of the year, we’re instantly transported back to our fondest Holi memories. This Holi, we’ve combined music and colors to create our Mix playlists. Each day, we’ll be curating six different playlists, built specifically around your listening habits. Each Mix playlist will be uniquely yours, powered by your musical preferences. 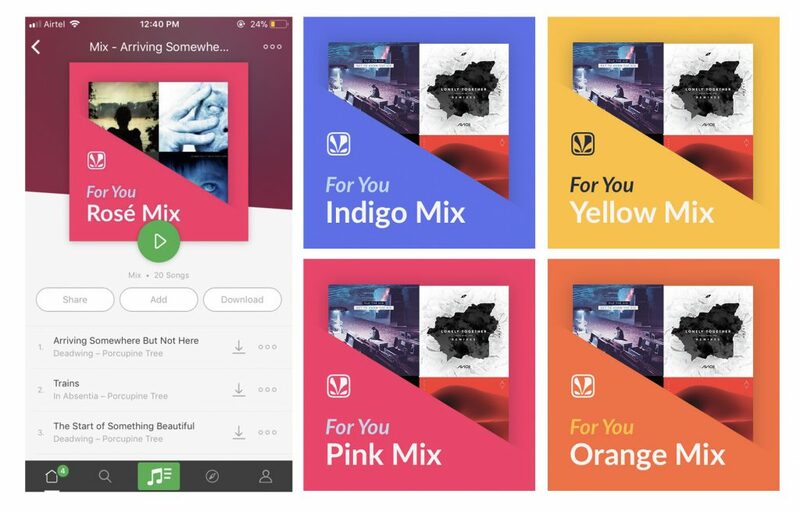 Since we launched these playlists on the occasion of Holi, we decided to give a little color to our app too. When you open Saavn, don’t be surprised to find an Orange Mix, Plum Mix, Yellow Mix, Sapphire Mix, and Indigo Mix waiting for you. Six colors, all especially for you. Listen to the music you love, and discover some new favorites at the same time, all without ever having to leave your comfort zone. Lastly, since it is the festival of colors… Let’s play Holi! Follow the link below, and pick a color. We’ve associated each color with a mood, and associated each mood with a playlist full of songs to make your Holi that much more special. Click here to play holi!